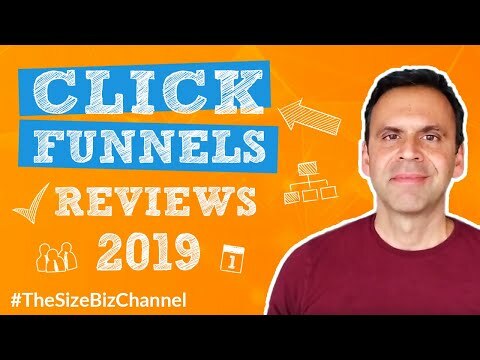 In this ClickFunnels review we discuss the not only the pro’s and the con’s of the software but also the unfair competitive advantages of leveraging the ClickFunnels WORLD. The review begins with explaining “what is ClickFunnels,” which is an extremely common question. Then the key pro’s are highlighted such as how easy ClickFunnels makes funnel building with their drag and drop editor, the quality of their support organization, the marketplace of pre-built funnels and the library of pre-built integrations to third party systems like autoresponders or payment gateways. The downsides include slow support (despite good and thorough answers, support is only chat/email and it takes hours for them to respond), a high entry price and ‘the overwhelm factor’ of having many features and functions to navigate, which takes time to learn as a new user. The most important section is next where we talk about the unfair competitive advantages of using ClickFunnels – from the thought leadership of Russell Brunson, ClickFunnels’ co-founder and CEO, to the helpfulness and common cause found in the ClickFunnels community, to the generous affiliate program.